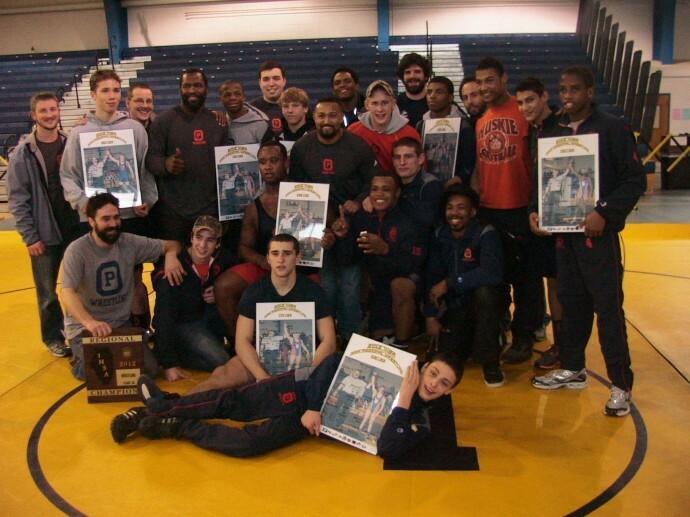 The team's amazing first-time ever in OPRFHS history feat of advancing 14 wrestlers on a 14-man roster to regionals in hopes of sweeping at state was a nerve-wracking blast to witness. Thanks to all the coaches and especially Coach Mike Powell who this week is featured in Sports Illlustrated , our team is made up of young men who believe in themselves, hard work and the value of discipline. I am so thrilled to be in this wrestling family. Stay tuned for sectionals this Friday and Saturday at DeLaSalle High School in Chicago. Fingers crossed for Colin and all the wrestlers. Go Huskies! Congrats to the team! What a great accomplishment. I read the article on Coach Powell. Very moving! I have had the privilege of seeing him in action over the years and always noticed how good he was with his team and how dedicated he was. As a mother of a wrestler and now coach, I appreciate everything Coach Powell represents. What a wonderfully inspiring story. I am the Aunt of Ben Sisler in Florida and his dad shared with me OPRF and Coach Powell’s story. You all should be so proud. I know I am!